September was an exciting month here at ZGHQ!! After a slightly bumpy end to the summer hols with the sudden realisation that the show was looming and the boys were still off school, we eventually managed to get ourselves together in time for the London Interiors Show exhibition. Held in Chelsea, next to the infamouse design centred harbour http://www.dcch.co.uk/, the show was a step away from the traditional larger show format and involved 20 interiors brands showcasing together to trade over two days. We met so many lovely trade partners and new customers. This was our opportunity to show the Nordic Story Collection to trade. We had such lovely feedback so thank you to those who came to see us. It was a busy few days! It was a huge honour to receive such recognition at these awards in amongst the industry’s finest designers. With a helpful, bespoke making up service and easy, step by step measuring guides, they'll help you customise your curtains and blinds to suit your home and style. Simply order your fabric here on line and we'll deliver it directly to them (fitting service available in London/Greater London). We are delighted to announce the launch of the NEW Nordic Story Collection. Taking inspiration from my travels to Sweden and Denmark, my new collection for 2018 is a bold, contemporary and graphic collection of prints. An exhibition by Danish artist Bit Vejle in Malmo, of delicate and intricate paper cut designs, inspired me to go back to basics on the design process. Using the simplest techniques to compose prints using paper-cut silhouettes I then translated them into hand block and screen prints. 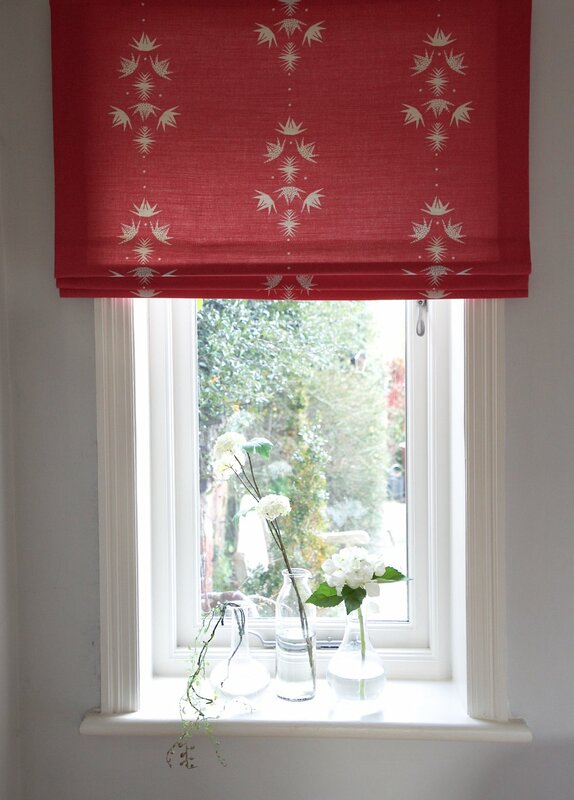 The Nordic Trail design makes stunning roman blinds and curtaining but also striking statement pieces as upholstered furniture. 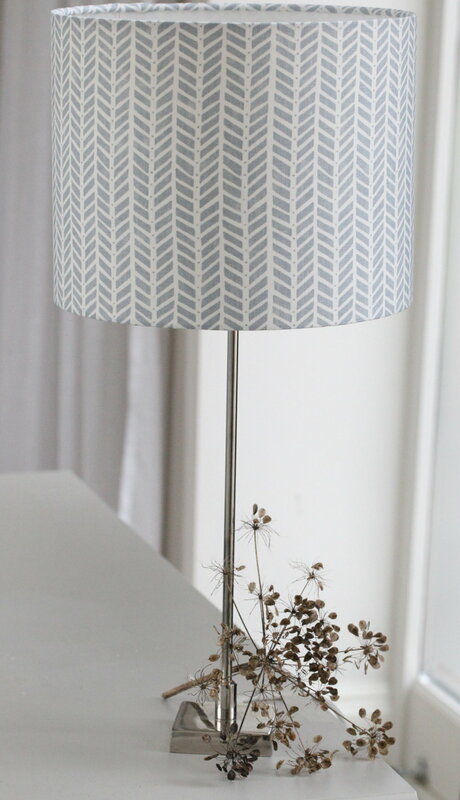 It sits perfectly alongside it’s partnering Paper Leaf print and balances with the delicate Honeycomb and North Star designs. It's all available for PRE-ORDER for delivery April 18. Hot off the press today is the launch of our design collaboration with the mighty sofa.com. I was over the moon to have been included in their selection of 5 designers for this new season's design lab launch!! Feeling very excited and privileged. 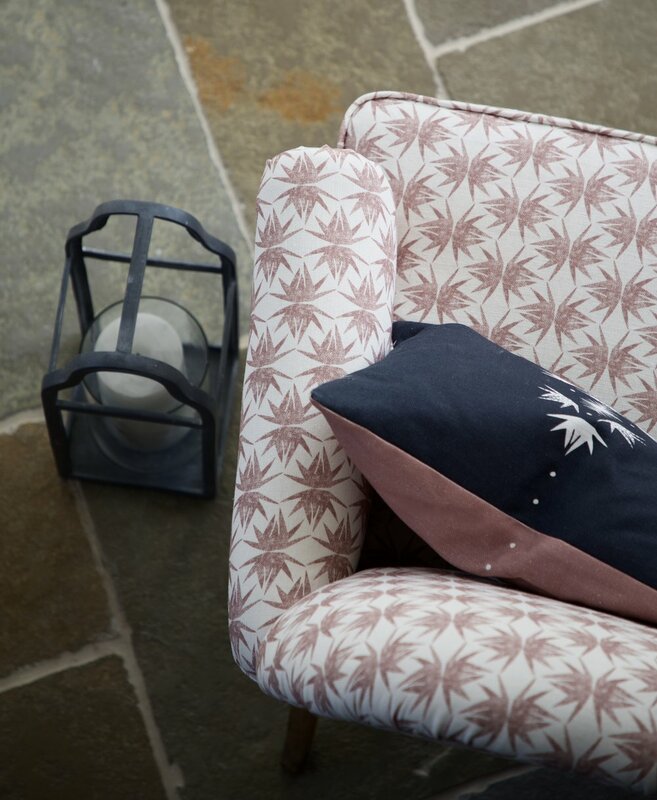 Chose from a selection of sofas, chairs and accessories in the lovely darkest blue Anchor colour or funky on-trend Pink Grapefruit. Dare to be different with an accent sofa or chair in your interior with a punchy colour to shake up the grey! 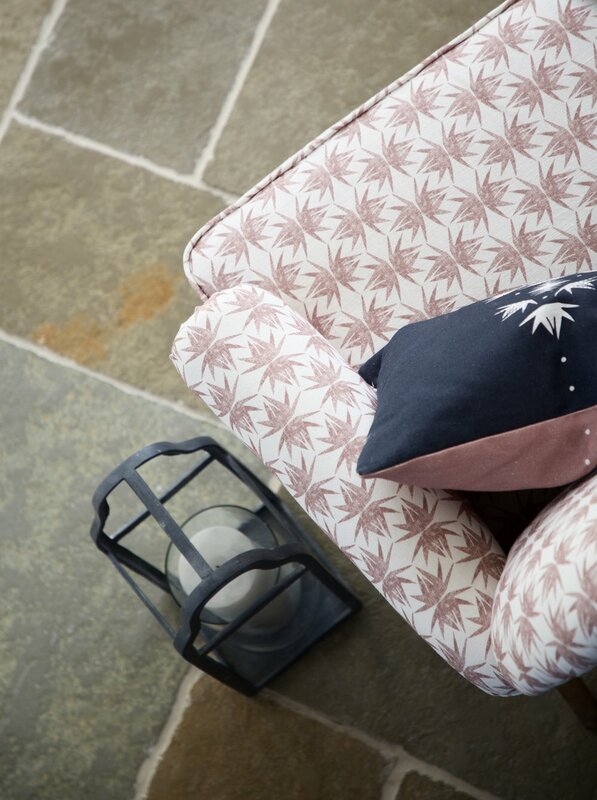 You can also add a patterned rug into the mix in our Slade Stripe or Mottram Meadow prints. My Meadowlands Collection very much began as hand-sketched, block and screen printed designs, printed in my garage workshop at home. My fabrics are now manufactured in the UK but this short film gives you some idea of how a design begins life. This summer, in between developing new designs, planning for the Decorex show and of course looking after customers we have been busy filming. To give you an idea of how my designs begin life we're putting together a short film - coming soon to our website so watch this space. It may have felt like the end of the world was upon us yesterday with storm Doris sweeping across the national, however, true to the unpredictabiility of British weather, today we have a glimpse of spring sunshine. The birds are out and we spotted a few bunnies this morning (if a bit wind swept). 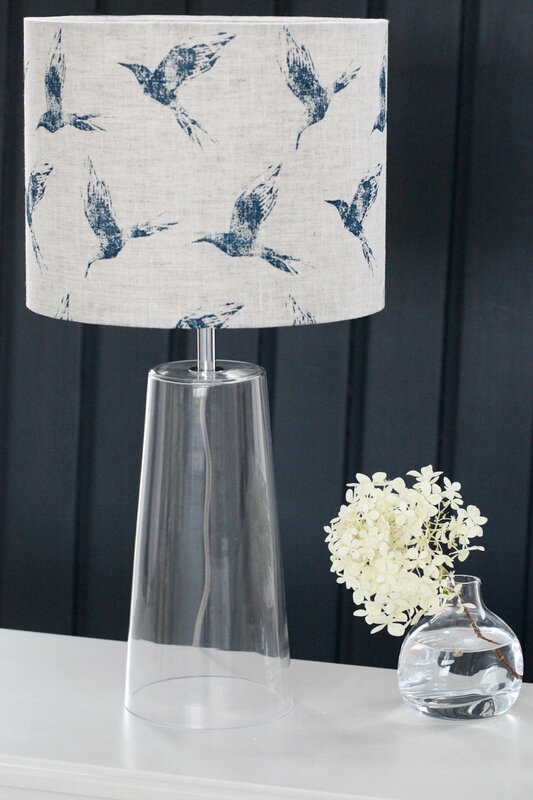 So if you're feeling spring-like and inspired to revive your home interior take a look at our Bollin Bird in Dew on natural linen for a subtle print in neutral tones. 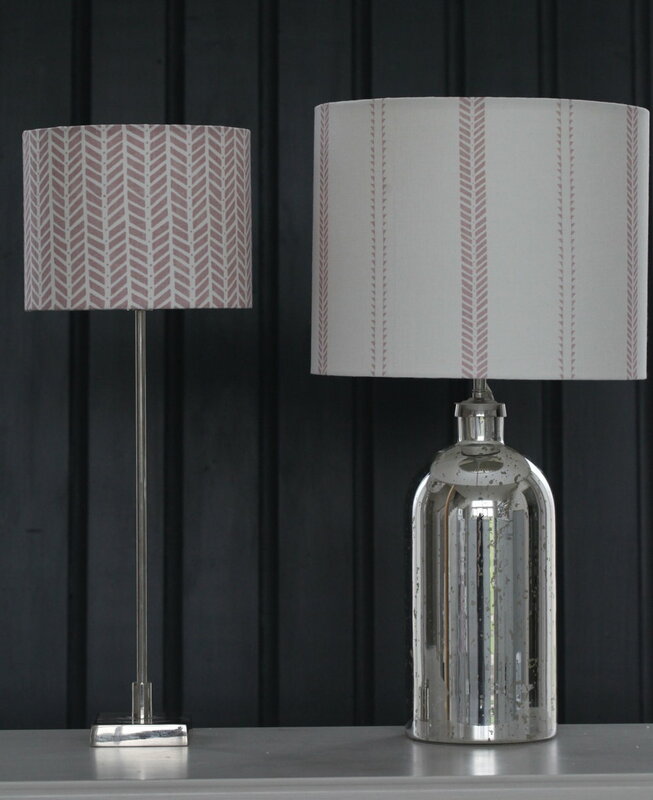 To combat the dull days of January we are looking to our bespoke lampshades to lighten the mood. 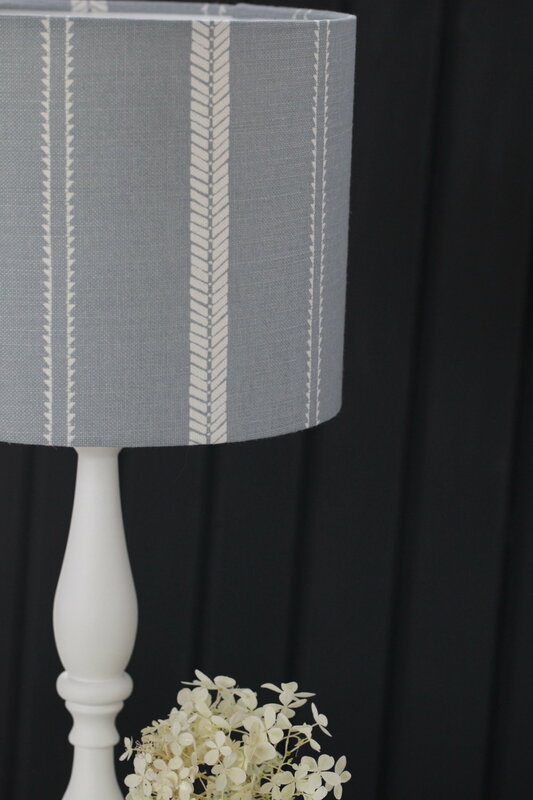 Available in our linen fabrics you may order your lampshade here online and it will be handmade to order. A BIG thank you to all our customers! Have a fantastic Christmas break and wishing you all the best for 2017!!!!! 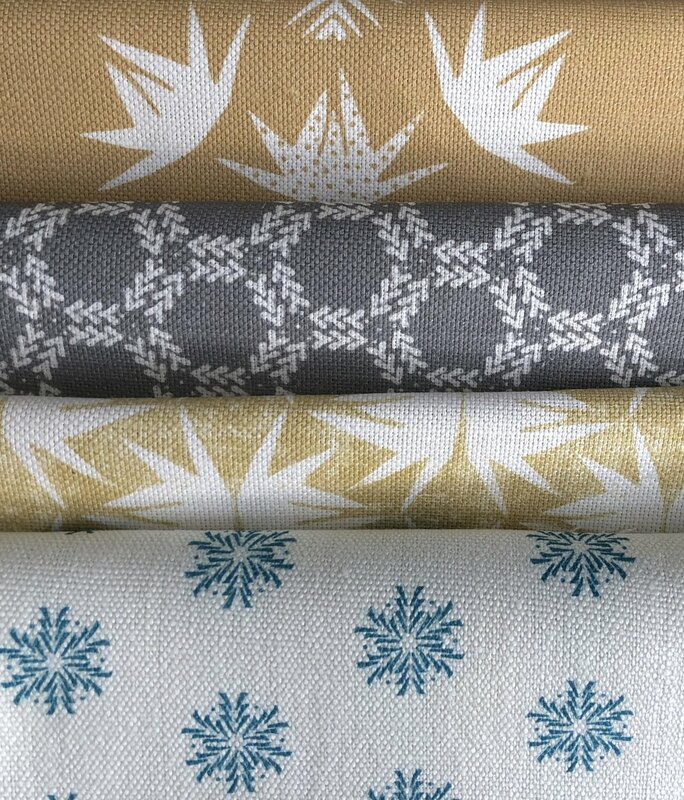 If you're still in the midst of home furnishings and fabric we will be taking orders over the festive(exlcuding the bank holidays) period but please bear in mind that postage and delivery may be a little slow. Thank you. It's been a while since my last blog since Autumn has been busy busy. Between photoshoots, tradeshows, launching new colours and London expeditions, Autumn has flown by and now the count down to Christmas has begun! We'll be running our own one day only 'Black Friday' promotion online only for mailing list subsribers - so if you haven't already signed up do! The fabric design highlight this season for me was as always Decorex in September - we'll be exhibiting next year (!!) 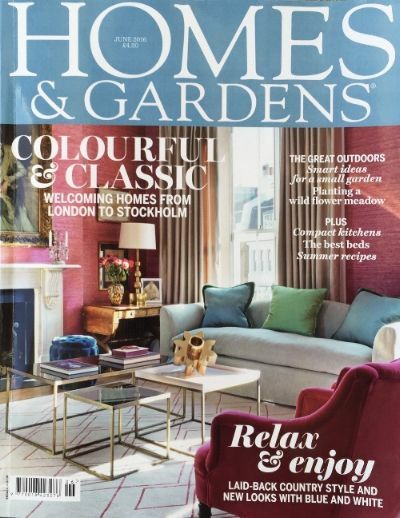 I also attended the Homes & Gardens Magazine fabric awards at the gorgeous Ham Yard Hotel. 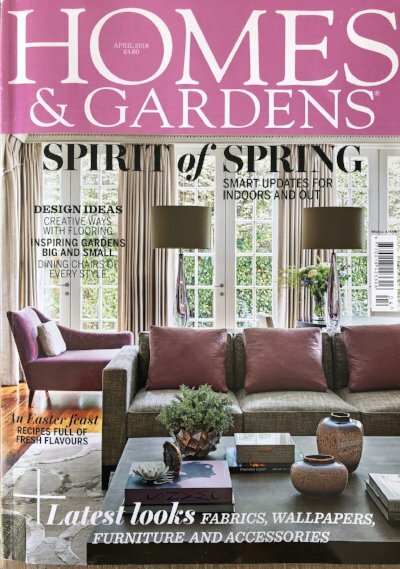 We made our TV debut when our fabric then appeared on Channel 4's Grand Designs with Kevin McCloud - thanks to Carol Rimmer, one of our customers. 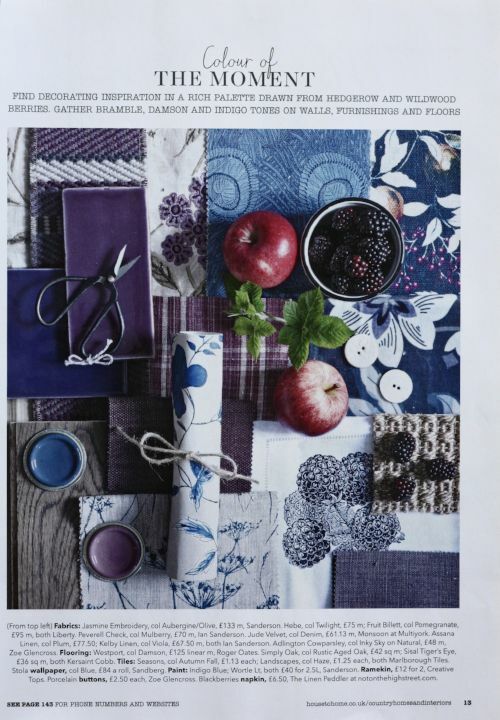 The Dormy House have featured a great selection of our fabrics in their Autumn/Winter 16 catelogue and we are delighted to be working with such a lovely interiors business (bedstead picture, Armchair in Inky Sky Slade Stripe and bedroom chair in Putsborough Cowparsley Petal courtesy of The Dormy House - bottom row in pictures below). With new markets on the horizon and our lastest fabric books due to arrive at any moment it's an exciting time. Some of our lovely stockists have been busy making stunning curtains and blinds in our Meadowlands prints and have kindly sent us some great pictures (see below - the kitchen Dew blue/grey blinds and curtains in Slade Stripe and Mottram Meadow - courtesey of Victoria Clark). Follow us on Facebook and Instagram to hear about all our latest news. Here's to the Christmas Count down!! Next week we'll be making our first public appearance in the Country Living Tent at the lovely Tatton RHS show, Cheshire (STAND CLM754). The show is on from 20th-24th July at Tatton Park. Please come and see us and have a nosey at our lovely printed linen fabrics. We'll have some ready made home accessories available to buy on the day as well as some brand new woven organic cotton throws that will make the perfect picnic blanket on the day (because the sun will be shining of course)! 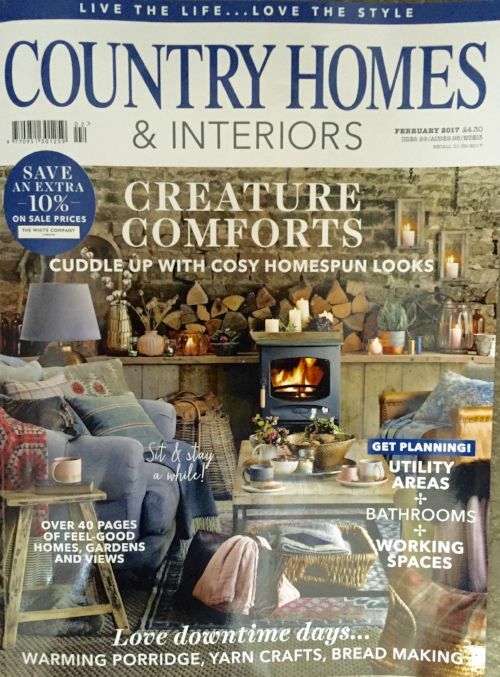 In the Country Living Tent we'll be alongside lots of lovely lifestyle and homeware brands and makers so do come along. 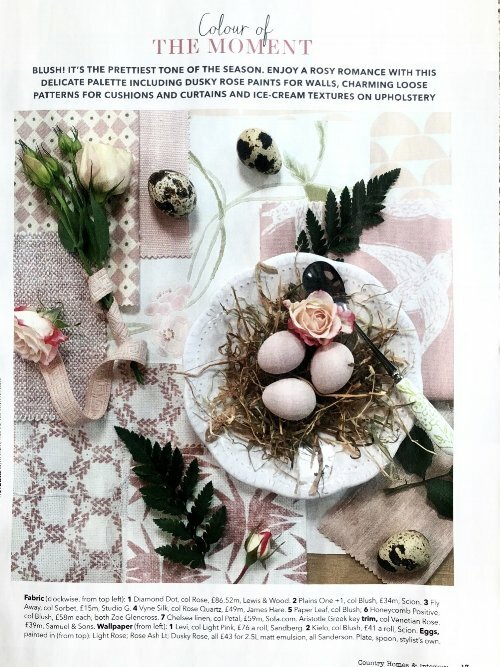 This month we'd like to thank you for shopping with us and a special thank you goes out to those customers who have sent us snaps of our fabric in their homes. We've put a little montage of photos together and some of the shots are so clear that they have ended up on our product pages. Customers sending us their photos will enjoy 10% off their next online order! 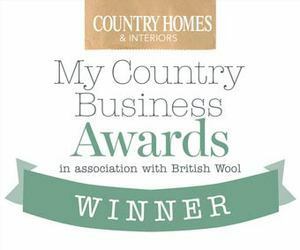 Last year I was lucky enough to win the Country Homes Business Magazine award for interiors. It's been an amazing springboard for my fledgeling business. The search for this year's winner is now on. For any budding country business folk out there it's time to take that leap of faith.. Please do not hesitate to contact me at info@zoeglencross.com if you're considering applying and you want to chat about it. 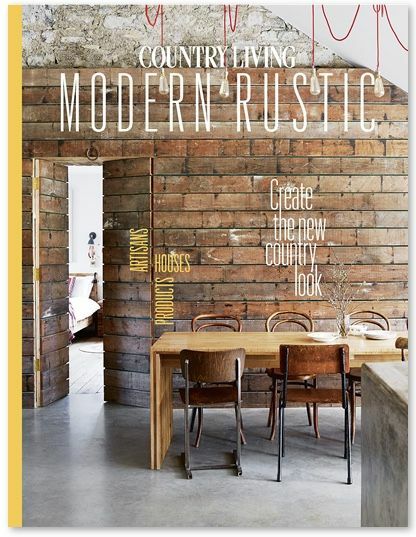 If you're renovating, redecorating or moving house have you discovered Houzz? Houzz is a brilliant homes & interiors website that specialises in providing a platform for you source interiors ideas, accessories, colours, fabrics, lighting etc. It's a bit like pintrest but it's only about houses. There is a great 'advice' section where you can ask a question about a room you might be working on and you'll receive a huge amount of great advice from others - often from interiors professionals. There is a massive selection of gorgous images from which to be inspired and they'll soon have a 'buy' button which would make all of your home purchases a lot simpler. 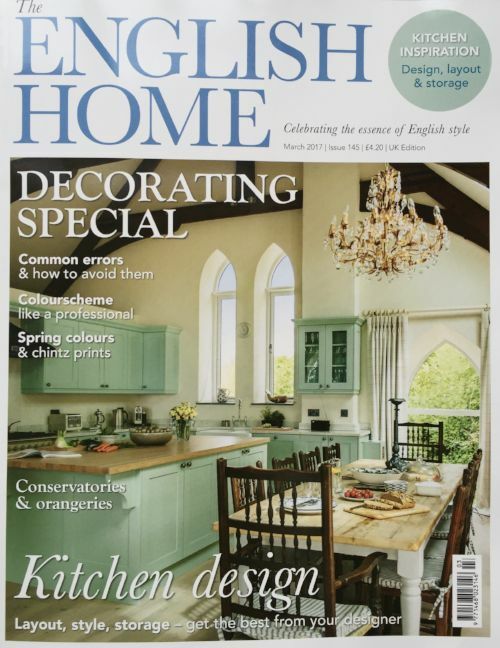 We have set up a Houzz profile and would love to help you with any schemes you have. 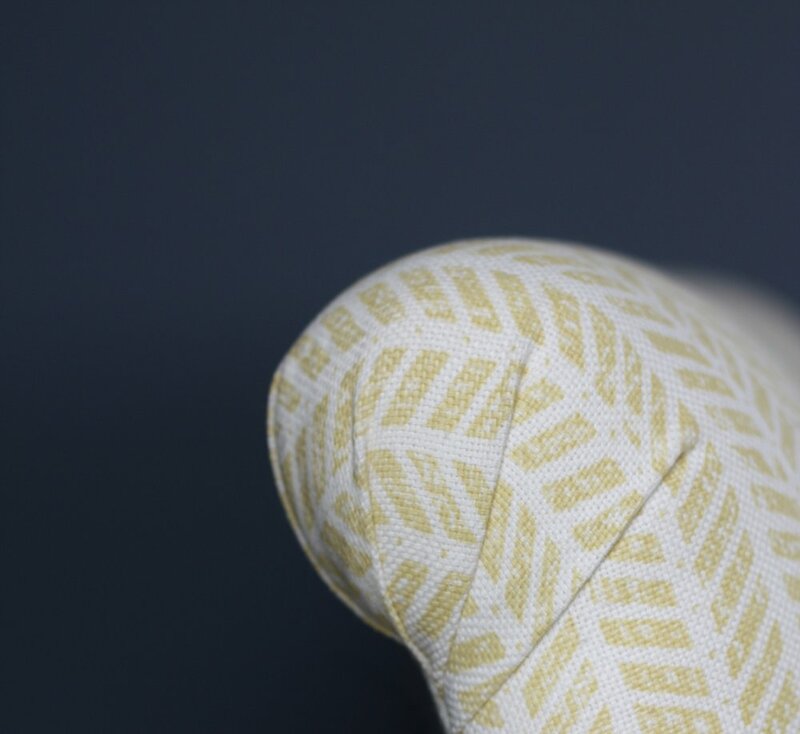 - find us as Zoe Glencross Fabric & Home. Houzz enables two or more parties to collaborate on an 'ideas board' together where you can each post pictures of ideas that fit your brief. We'd be delighted to help you with some ideas (not just about fabric) to make your house a home you love. 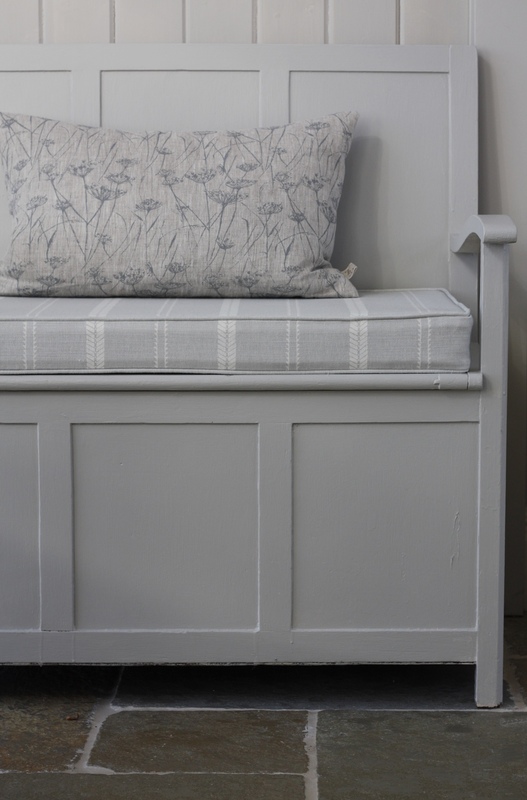 We love using chalk paint and our linen fabric to revive and refresh old furniture, making into something beautiful. This old blanket box (bought on ebay), has had a whole new lease of life! We painted it with Annie Sloan French Linen chalk paint and upholstered it in our Slade Stripe & Windmill Wood linen blend grey linen fabric. Upholstered by one of our recommended upholsters Louise Lloyd - Thank you Louise!! 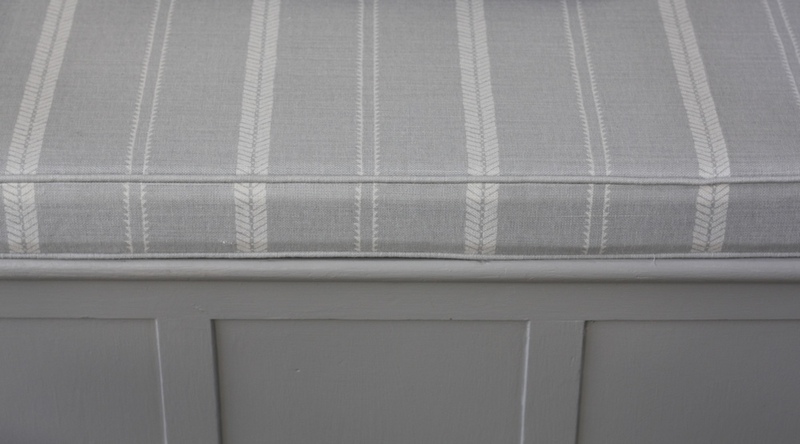 Our Pebble Grey Slade Stripe fabric makes a lovely fresh cover for a bench/window seat pad (pictured here with Pavillion Grey painted bench - Farrow & Ball). 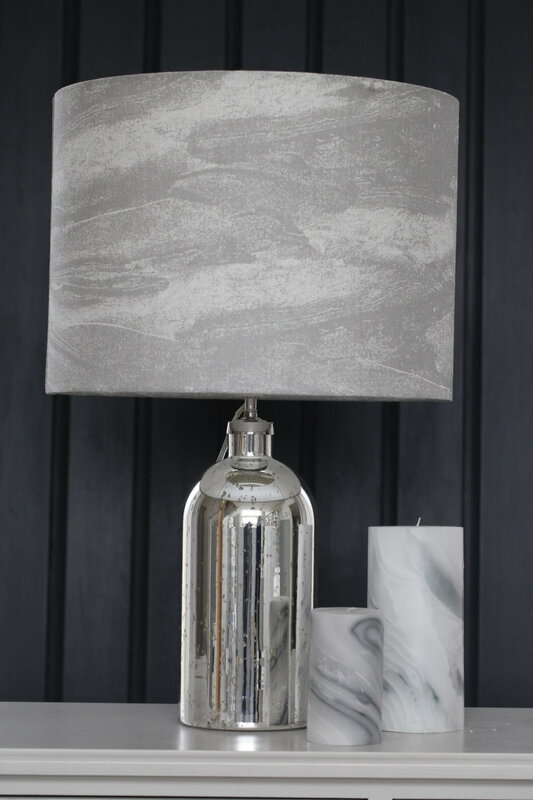 This soft grey linen blend fabric is a pretty, soft tone which blends easily with many schemes. 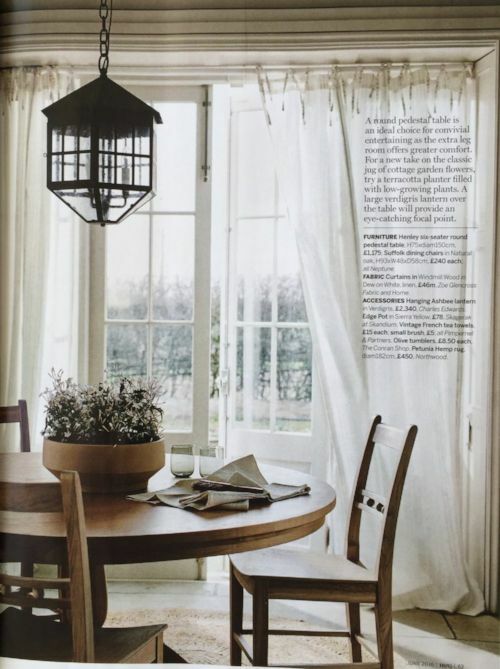 As a heavy weight linen blend it drapes beatifully as curtaining, makes smart roman blinds and is perfect for your everyday-use general domestic upholstery. Ta da!! This week we are delighted to annouce that we have been lucky enough to collaborate with the LOVELY lifestyle brand Rowen & Wren on a contemporary classic furniture piece - the Finley Chair. 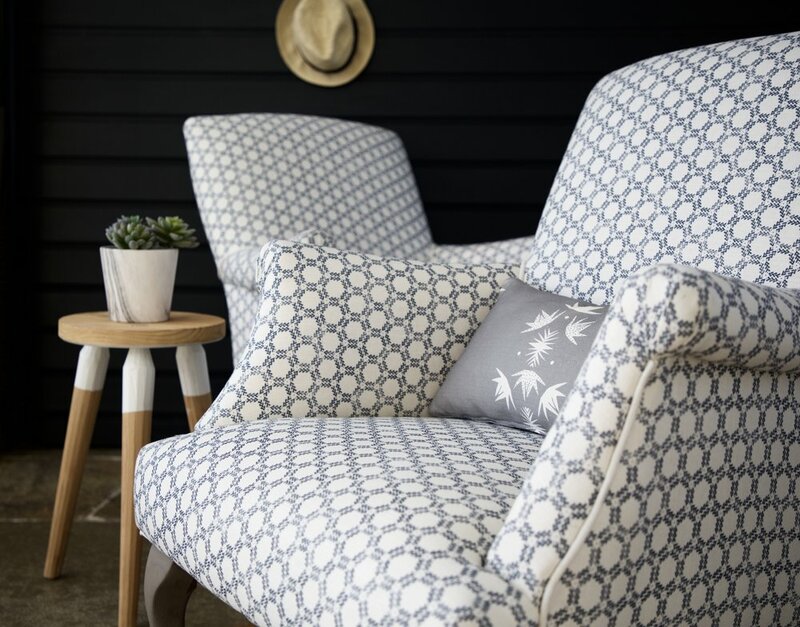 Our Windmill Wood print in Inky Sky (linen blend) looks stunnning and makes the perfect coastal comfort with a touch of elegance. 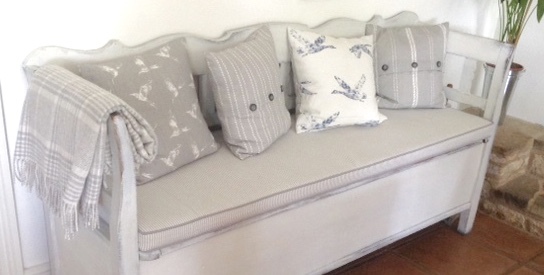 Rowen & Wren have also selected our Slade Stripe and Mottram Meadow cushions to compliment their furniture range.